PD power banks on solar? Other non-PD sources? It is glass, 3 (three) levels, but not coated. Now we have a lot of snowfall and no sun. I have a small, basic meter built into the holder (V and A, swithable) to "control" the operating status. Not really precise, but enough to show the difference, when the position of the panel is changed. So long as you're thinking trickle charge you'll get some benefit. So the solar cells reduce their voltage when behind glass, the DC-DC converter in the electronics have to reduce the current to get the voltage up nearer to 5V so you'll observe the voltage drop a little but the current drop significantly. The voltage out of cells is the delta voltage left over after electrons come out of their potential well so in some situations if the cells see too low a light frequency they will generate no energy whatsoever. Unlikely as white glass will let blue light in. Well, since the whole apparatus - solar cell and cleaner - is working fine now for quite long time, (several years) , I do not change it. Maybe I will replace the ni mh batteries, when they show reduced power. Is yours a portable system or one that powers your home? Mine is just for small devices. I can power my phone, ipad, flashlights, and laptop on solar for most of the Summer, but I don't have anything to power my home yet. For the home, you need big panels and also some electronics for charge and so on. But you sure do know this. As I live in an appartment, I have no roof where to put the panels. 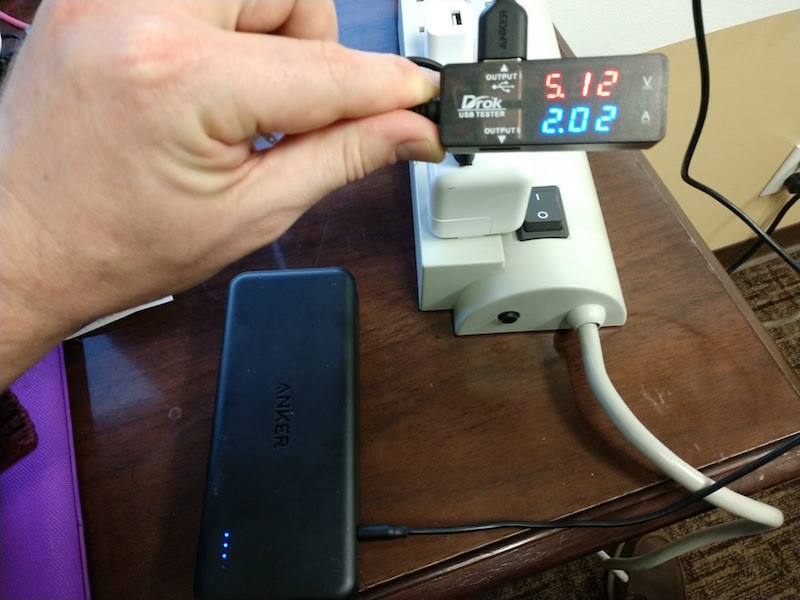 I also have the same setup and always wondered how much charge I really get as I have not tested to a great extent. If there is enough solar charging and time passes will I get a complete charge. I have this setup for camping purposes and charging solar lighing connected by USB. @furkist it might help to know that I found out that the window reduces the amount of charge you get from one of these small panels. I know how complicated those big panels are. I have a few friends with with those setups (one with used car batteries even) and they take a lot of work to maintain! On the left you see the Vac, on the window desk the robos. So it is my version of RoboVac. Above of the Robo you see the back side of the solar panel - outside is night at the moment. So you see - I am a technical freak combined with model builder combined with ...you name it. This is so cool. And yes "scratch" works, "scrap" may be more common. Either way its very clever. I think you could certainly power a phone other small items with this setup if you added power bank on to it. Also i wonder if you placed the panel outside the window (attached to the outside wall somehow, or hanging from the window ledge) if you would measure more power? My Anker solar panel definitely gets more power when it is in direct sun outside than when inside looking through a window. Cool robot by the way! The panel is inside. As I mentioned: it was in a plastic box with "transparent" cover. But you could not see the panels , and the cover became "yellow". So I removed the complete box. And so the panels have no cover (as you can see on the cable "fixing" - this is original ...) - no protection Therefore I have them inside. The solution would be: build a new box - but then this box has to be covered with some transparent cover. I made for my Vespa scooter a new "glass" for the speedo - the old was plastic and was damaged - the new I built of acryl - and after one year I could not read the speedo .- the acryl was milky.